When we recognize wonderful places to eat, sometimes we forget to mention the people behind the delicious food. Today, we recognize Josh Weitzer. Josh is the head chef and owner of Barcelona Restaurant, On Fire Kitchen. 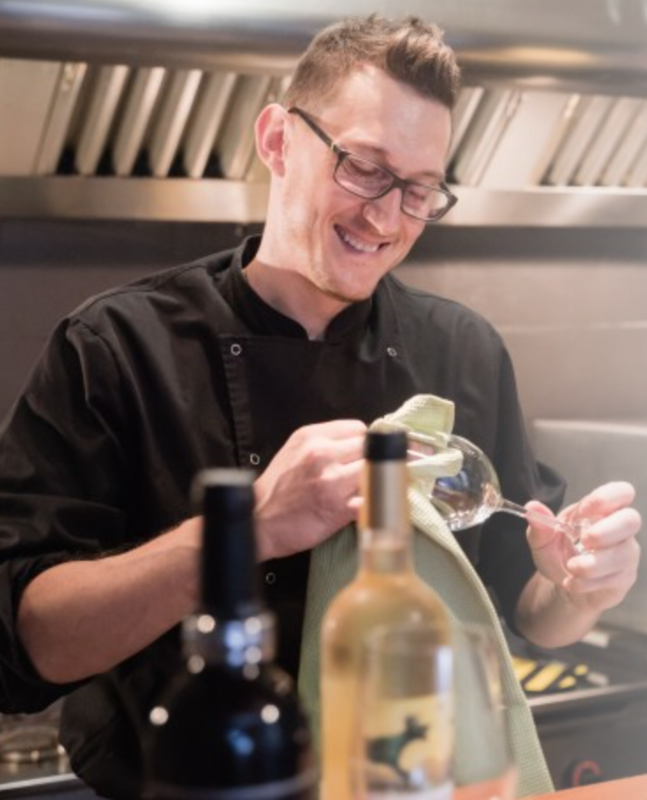 He started his restaurant business with the intention to share the rich and authentic tradition of Spanish & Catalan Cuisine with locals, travelers, and friends. Josh wants to spread his love for authentic Spanish cuisine around for more people to enjoy. He has been involved with many interviews for Barcelona BBQ, who like us recognize a great chef when they see one. Josh creates a menu that is diverse and creates food masterpieces with a fusion of flavors. Josh caters events, hosts cooking classes, and hosts special events. Finally, one last note about Josh. He creates a relaxing environment with an authentic culinary experience that everyone can enjoy. His beautiful dining areas set the tone for meals with decor that resembles typical Eixample architecture, and, gives guests a complete Spanish dining experience. We plan on collaborating with Josh and On Fire Kitchen for an event later this month. Be sure to keep an eye out for event details. You can find more about Josh and On Fire Kitchen Here or check out the interview we did with him!